SAN DIEGO, CA--(Marketwired - Oct 26, 2015) - Gynecomastia has been getting a lot of attention these days in the news as an embarrassing condition for men. The condition causes men's breasts to grow and in some cases become quite large like female breasts. Dr. Antoine Hallak, a San Diego plastic surgeon, is reporting that he has seen a spike in male breast reduction as the condition has been spotlighted more and more in the news. Dr. Hallak says, "For many men this condition is often distressing and for younger men can be quite embarrassing, causing significant social issues. Most of these men don't realize how common the condition is and how easily it can be corrected with a very simple surgery called male breast reduction." The condition actually impacts about 50% of men at some point in their life. Sometimes the condition appears in adolescents and in most cases will disappear as the child gets older. The condition can re-appear later in life, in middle age and older adulthood. Many of the older adults experience the gynecomastia condition as a side effect of medications. The origin of the condition for adolescents is an imbalance between the female hormone estrogen and the male hormone testosterone. When estrogen levels get too high the breast glands begin to grow. Recent research indicates a close correlation with increased levels of the insulin-like growth factor-1 (IGH-1). For most adolescents the condition disappears on its own accord with maturity. For adult men the condition can also be due to a hormonal imbalance. This happens because as men age their testosterone levels tend to drop off while their estrogen levels increase. This is usually accompanied by weight gain further enhancing the condition. Certain medications can also cause the condition and in some cases can be corrected by changing medications. When a change in medication, or reaching a desirable weight doesn't correct the condition, male breast reduction is the solution for many men. Male breast reduction usually involves liposuction and removal of some breast tissue to correct the problem area. The procedure usually takes 60-90 minutes and is performed under general anesthesia. Typical recovery takes about two weeks, a support vest will be provided and most return to work in about a week. 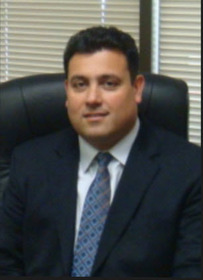 Dr Hallak is Board certified by the American Board of Plastic Surgery. He has completed a full training in General Surgery in New York City prior to specialization in Plastic Reconstructive and Cosmetic Surgery at the world renowned McGill University in Montreal, Canada. After extensive and long training Dr Hallak practiced Plastic Surgery in New York City before moving to Southern California to be closer to his family. Dr. Hallak was voted Physician of the Year by Pomerado Hospital Operating Room Administration and Staff and he is currently the Representative of the Plastic Surgery Subsection of the Department of Surgery at Palomar Pomerado Health. Dr Hallak also has medical privileges at several other hospitals including Scripps Memorial in La Jolla and Tri-City Medical Center in Oceanside, in addition to many local surgery centers. Dr Hallak is an active member of the American Society of Plastic Surgeons (ASPS), the San Diego County Medical Society and The San Diego Plastic Surgery Society. He is also a Fellow of the American College of Surgeons (ACS).